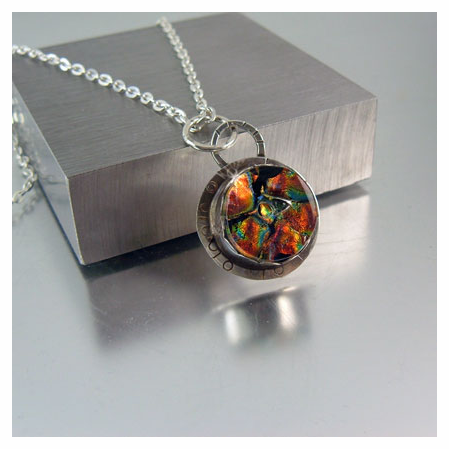 This pendant necklace is made from a dichroic fused glass cabachon fit into a hand crafted fine silver bezel. 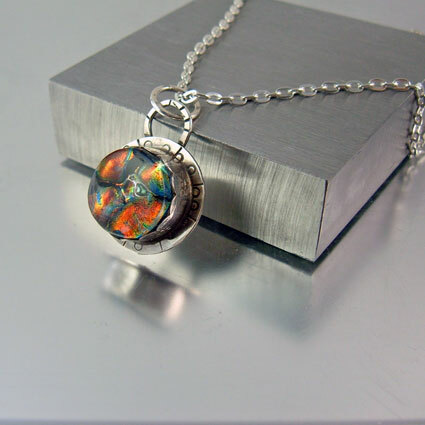 I�ve accented the bezel and bail with stampings and a patina to add fun and stylish character to this silver necklace. 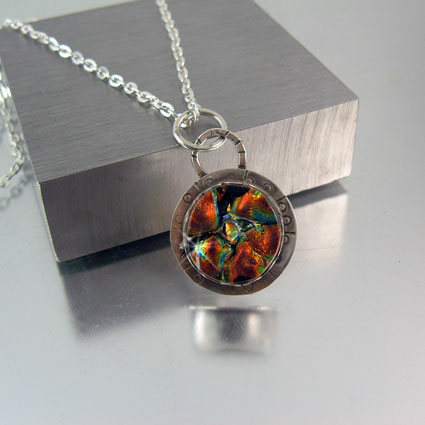 This artisan necklace is a conversation piece sure to raise questions. Dichroic glass is breathtaking and you sometimes wonder how something so beautiful is made. 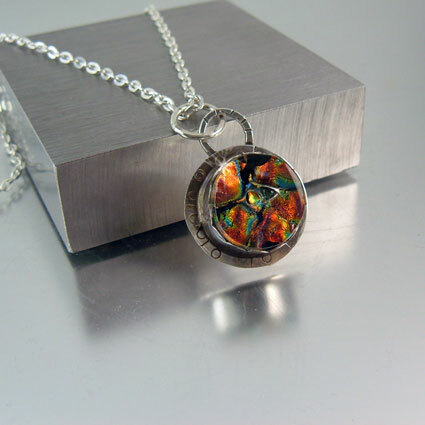 This piece has colors that radiate and seem to change each way you look. The center sparkles as if there were a diamond captured within it.